The Chief Digital Officer (CDO) is not only leading the convergence of operational and information technology, but also driving its transformational impact across the wider ecosystem. In this first post we look at some of those patterns we’re seeing and we explore exactly how they’re already delivering real financial value. Last year, McKinsey Global Institute estimated that IoT applications could have a global economic impact of somewhere up to US$11.1 trillion by 2025. As the connected industry continues to grow, the economic impact of IoT is becoming more and more evident. Companies have already begun finding ways to monetize IoT to create unprecedented value. As they do so, we’re seeing some common patterns and practices emerge. In this three-part blog series we explore some of the critical considerations for any company embarking on IoT-enabled growth. Much of this is the imperative of the new Chief Digital Officer, who is responsible for the adoption of digital technologies across a business. The CDO is not only leading the convergence of operational and information technology, but also driving its transformational impact across the wider ecosystem. The connected industry is exactly as it implies: everything and everyone is connected. 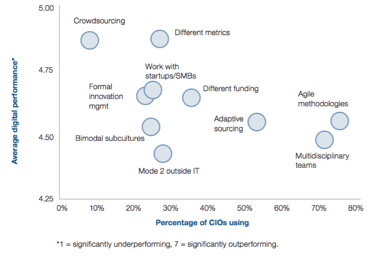 Organizations are expanding beyond traditional industry boundaries and silos. New ecosystems bringing together the suppliers, customers, competitors, distributors, universities, compliance, government agencies and other stakeholders that have a role to play the delivery of a specific product or service. With this broad network comes great opportunity. When we understand our ecosystem, we can then work towards leveraging this collaborative network and uncover novel ways of monetization. 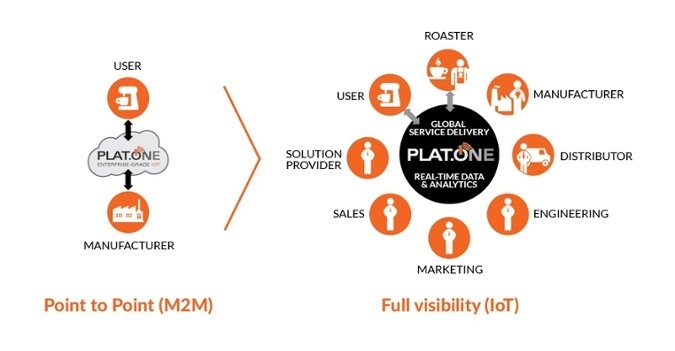 The example below shows how our recently acquired portfolio company PLAT.ONE used a coffee example to demonstrate how an ecosystem would open up its IoT platform to resources and capabilities that were previously inaccessible. PLAT.ONE. provided an enterprise-grade IoT application enablement platform that is used by several large telcos and industrial companies like La Cimbali, one of the largest industrial beverage machine companies in Europe. The first project ‘labeled Espresso’ was designed to connect the new 50,000 machines they manufacture annually, to communicate vital operating information – thus giving the machine a ‘voice’. The next phase, is much more of an IoT eco-system as the base platform was now hosted by Telecom Italia, providing real-time data and analytics to all members of the coffee eco-system that surround a given machine – thus providing a given machine an eco-system to both communicate and interact with. This is leveraging the IoT ecosystem! Today data is captured at a level of detail, accuracy and frequency that was previously unattainable. As ecosystems become increasingly connected, that data is shared and combined in new ways that were previously unimaginable. This offers new business insights that both the company and its wider ecosystem can leverage. The CDO needs to understand and test how best to extract and optimize value from connected assets. These seem to broadly translate into three areas which can be realized across three horizons of growth. When product arrives damaged in certain retail stores, the supplier suffers financial losses. When an IoT-enabled supply chain ‘lights up’ sub-optimal handling behaviors in real time, steps can be taken quickly to mitigate this loss. Equipment failures leave providers facing the headache of scheduling unplanned maintenance. With the condition of IoT-enabled equipment continually monitored, providers can maintain their assets proactively. 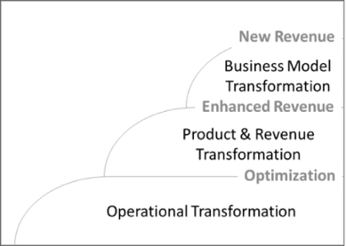 This is not only substantially more efficient, but minimizes downtime – maximizing value across the entire ecosystem. A retailer may be suffering lost sales from products from shelves being left empty and customers being unable to purchase the products they want. IoT-enabled shelving in-store warns suppliers as stock levels begin to fall. Shelves are kept full and sales are maximized. Cities may want to encourage delivery drivers to make deliveries at times when traffic is flowing well. Dynamic pricing enabled by the IoT deters non-urgent deliveries during busy, congested periods, improving traffic flow and air pollution levels. For airlines, ensuring aircraft are operating optimally is critical. IoT-enabled components can verify that the airplane manufacturer is meeting service-level agreements. Airlines can leverage IoT to enable results-oriented pricing that incentivizes the aircraft manufacturer to optimize performance. By using IoT technology to monitor how many miles tires travel, tire manufacturers are able to offer fleet customers new usage-based services. A supplier has little to no relationship with their end customer and no visibility of their end customers’ needs and desires. An IoT-enabled app jointly funded by the store and the supplier allows the consumer to see the origin of the raw materials of the product they are purchasing. The supplier builds a relationship with their end customer and grows sales through a better understanding of their customers’ desires. The retailer offers customers a valuable additional service, increasing loyalty and raising sales. When congestion deters people from visiting a city, parking spaces remain empty. An IoT-enabled app built through a city and parking services provider partnership helps drivers find parking spaces quickly. Congestion is reduced. Visitors return. Parking revenues are optimized. The growing number of connected cars opens up new opportunities that demand alliances between vehicle manufacturers and energy suppliers that offer drivers services such as the location of the nearest available charging station and energy suppliers insights that help them predict demand. Look out for part two of this series where we will explore why the Chief Digital Offer needs to be aware of the current and future capabilities of the ecosystem and to leverage the previously unattainable access to resources at suppliers, partners, customers and even competitors to bring new opportunities to life. 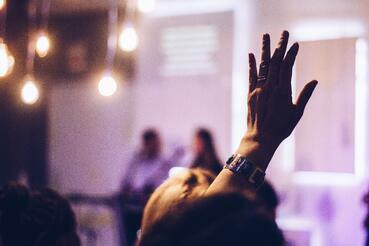 Do you want to accelerate your Connected Industry strategy? Momenta Partners has a unique ecosystem of traditional IT and OT expertise with deep domain experience and broad networks to support your strategy, marketing and operations for accelerated growth in the Connected Industry. Lauren is the Principal Innovator at Fern & Rose, an innovation consultancy specialized in creating and implementing business growth. Lauren has prior experience of running innovation management at Brambles, a supply-chain logistics company. You can read more about Fern & Rose here.